Jerrell Jubah Jones, Sr. was born on October 2, 1977 in Beaufort, SC to Evangelist Jacquelyn Jones and the late Johnny A. Merriweather. Jerrell received his education in the public school system in Ridgeland, SC. He was employed as a concreate finisher for White’s Construction for many years. Jerrell enjoyed raising dogs, traveling with his job and working on cars. Throughout his life he touched many lives. He was an all-around joyous person. God saw fit to call our dearly beloved, Jerrell Jubah Jones, Sr. home on Tuesday, December 18, 2018, at Coastal Carolina Hospital in Hardeeville, SC. 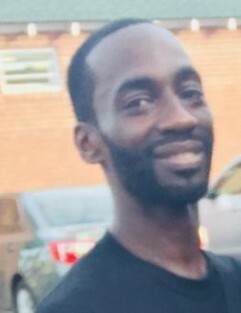 Jerrell leaves to cherish his memoires: his loving and devoted mother, Evangelist Jacquelyn Jones of Ridgeland, SC; three children, Shiliyah Jones of Beaufort, SC, Shaniyah Francis of Savannah, GA and Jerrell Jones, Jr. of Ridgeland, SC; two granddaughters, Londyn Johnson and Khore Wright both of Beaufort, SC; five sisters, Vivian Coley of Ashburn, GA, Tonya Jones of Ridgeland, SC, Kadedrea Jones of Columbia, SC, Aliceson Gadson of Estill, SC, Rene Cross of Ashburn, GA; three brothers, Jermain Gadson of Estill, SC, Eric Green of Ashburn, GA, and Eric Green of Vienna, GA; four aunts, Bettye Scott of Macon, GA, Barbara Merriweather of Atlanta, GA, Vuzeda (George) Rudgles of Ashburn, GA and Mary (Isaac) Garvin of Pineland, SC; one uncle, Michael (Angela) Merriweather of Atlanta, GA; godmother, Carleen Beaton Rivers of Ridgeland, SC; two special nieces, Tynisha Jones of Ridgeland, SC and Latoya Coley of Beaufort, SC; along with a host of nieces, nephews, cousins, other relatives and friends.